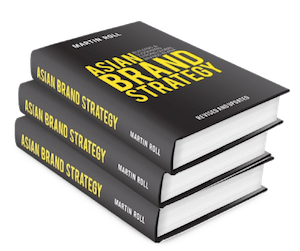 Of the handful of Asian brands that usually make it to any global brand rankings, most like Sony, Toyota, Uniqlo, and so on originate from Japan. Japan has for long been known for its prowess in technology, production efficiency, and superior quality. So it is quite natural if it comes as a surprise that one of the strongest Asian cosmetic brands, Shiseido also comes from Japan. Shiseido has been one of the very few non-technology brands from Japan that has made it big in the global fashion, beauty and cosmetic scene. Leveraging its unique heritage and the positive effects of its country of origin, Shiseido has been able to penetrate markets around the world by offering high quality, relevant and exciting products. Shiseido has realized from quite early on, the importance of offering a highly differentiated experience to customers and also to excite them constantly through innovative and high quality products. There are several reasons for the enduring success that Shiseido has enjoyed since its inception a century ago. But over the recent past, one of the main reasons that have contributed to its success is its well managed brand management practices. The commitment from the company’s management has seen a continuous investment in brand building activities. Shiseido was started in 1872 by Arinobu Fukuhara as Japan’s first western style pharmacy in Ginza, Japan’s fashion and cultural hub. Shiseido started out as a pharmaceuticals company when herbal medicine was the order of the day in Japan. But it outgrew its initial business quite soon when it formulated the winning concept of blending oriental mystique and aesthetics with the technology and science of the western world. This combination became a strong advantage for Shiseido right from its early days. Soon Shiseido diversified from its pharmaceuticals business. As early as 1888, it launched Japan’s first toothpaste, and in 1897 it ventured into the cosmetic business by launching Eudermine, a cosmetic product. In 1918, Shiseido launched its perfume, and by 1937, it came out with its first line of cosmetics. Since then, Shiseido had transformed itself into a full-fledged cosmetics company with a wide product line encompassing various aspects to cosmetics, from skin care, to beauty products to general cosmetics. By the late 1970s, Shiseido started penetrating foreign markets in Europe and the United States with specific product lines. Though the unique concept of blending eastern aesthetics with western science provided Shiseido with a strong differentiating factor, it had to extend this beyond a mere concept. Shiseido relied on its core philosophy for guidance. From the very beginning Shiseido based its philosophy on five core management principles which were enunciated way back in 1921. They were: quality first, co-existence and co-prosperity, respect for customers, corporate stability and sincerity. Shiseido also crafted brand identities for all its products and aimed at positioning them towards different customer segments. Shiseido has been one of the first Asian brands to adopt the acquisition strategy to grow beyond its home market. Acquiring rival firms in global markets has served 2 purposes. On the one hand it gained an easy entry into the market and on the other, it helped Shiseido to gain customer acceptance. Right from its inception, Shiseido has managed to build its image as an innovator and a market leader. When it ventured into the cosmetics business from its core pharmaceutical business, it leveraged this very perception to the fullest. It came out with unique fragrances and cosmetics made from of natural flowers to maintain its uniqueness. It was quite easy for Shiseido to gain a high level of acceptance in its domestic market as the heritage of the brand was well known. The company faced many challenges when it decided to venture out of Japan in the early 1970s. This was the period when brands like Sony and Canon were still establishing their brand names in the global market. Moreover, Japan was more known for its production efficiency, technological prowess and high quality electronics, but not for cosmetics and beauty products. This made it quite an uphill task for Shiseido. The fashion, beauty and cosmetics industry was dominated by brands from Europe and the United States. Therefore Shiseido had a dual challenge of breaking into the global cosmetic industry, gain acceptance and to build a strong brand. Right from its inception, Shiseido took the innovation route. The same strategy was extended when Shiseido entered the cosmetics business. One of the strongest advantages for Shiseido was the fact that it was an Asian brand venturing into the western markets. It used the mystique and aura of a distant land with its oriental tradition, colour, smells and aesthetics as an advantage. Its first product for the global market was named Zen and was launched in 1964. Shiseido packaged it using traditional lacquer designs from 16th century motifs of Kyoto temples. This not only gave it a distinct appearance but also created an aura of mystique around it. In 1997, Shiseido was awarded the US Fifi award; the most authoritative fragrance industry award for a new fragrance that it had created using aromacology. In January 2019, it completed a 12-year research initiative to discover a new anti-aging active ingredient, Stemlan-173 that it will use in its skin care products moving forward. In addition, it opened its new Asia Pacific Innovation Centre in Singapore, with the objective of enabling open-source innovation, Asian consumer research and developing a portfolio of Asia-specific products. Shiseido has always used its research and development by introducing products based on clinically tested formulae. The vision behind Shiseido’s R&D has been “Creative Integration”. This vision called for an integration of function with sensitivity. In line with this vision, Shiseido has introduced many products aimed at enhancing the beauty of its customers. An example is Shiseido’s first anti-aging skincare line called Benefiance in 1982, the Shiseido relaxing fragrance cultivated with a new aromacology. This initiative has given Shiseido credibility in new markets. By bringing together rational elements backed by a scientific proof and aspirational as well as emotional elements backed by a strong brand image and personality, Shiseido has been successful in positioning itself in many markets globally. Another important pillar of Shiseido’s brand philosophy is its flexibility in modifying and customizing its offerings. It not only does these in different markets in line with its unique needs, cultures and so on, but also in its brand management practices. One of the reasons for Shiseido’s success is that the brand has been able to span markets from the premium segments to the value segment by creating distinct brand identities and personalities for its product lines. A case in point is its strategy in the Chinese market. When it entered China in 1981, it introduced a sub-brand called Aupres, and positioned it as an elite brand. It was catering only to the top 1% of the market. Later on in 1997, when Shiseido decided to target the mass market, it came out with another brand extension called Za. Recently in 2011, Shiseido launched Senka at a lower price point to target consumers trading down but reluctant to give up on product quality. Another success factor is the fact that Shiseido stays close to consumer sentiment. Looking at its brand architecture, it is clear that the company’s growth generating brands, namely Shiseido, Cle de Peau Beaute and other high-end brands, target mainly middle-aged and older women. Since its release of Majolica Majorca in 2003 – a brand targeting teenagers and young women in their 20s, the company has not launched anything for the youth market. Shiseido later reconfirmed this observation through surveying 500 young women and studying their makeup purchasing habits. Reacting to this important piece of consumer research, Shiseido immediately launched Recipist in November 2017, a skin care brand with products retailing at USD 8.88 and less, and packaged in smaller bottles to fit the small spaces that young women often live in. In addition, the study found that young consumers view skin care as merely a routine and something they want to spend as little time as possible on. Reacting to this finding, Shiseido concentrated on essential items in launching the Recipist brand. This effort reflects the company’s dedication to recapture the youth market. By tracking the trends of the customers and the associations that they had about certain products with certain places, Shiseido created their distinct stories. For example, for make-up products, customers preferred a good and elite image and that was conveyed by creating a brand personality with an American undertone. For skin care products, customers preferred quality and reliability which was conveyed by creating a brand personality with a Japanese undertone with the brand Pure & Mild. This kind of flexibility in its brand management model has helped Shiseido to take on different market segments in different markets quite successfully. Given the immense popularity of e-commerce, Shiseido has recently announced a strategic alliance with emerging e-commerce platform companies in China to push its products digitally. It will also open a facility for collaboration with Alibaba in Hangzhou from January 2019 and jointly develop products with the Chinese e-commerce giant. This is an important step as Chinese consumers were the top buyers of Japanese cosmetics in 2019, purchasing 34.9% of Japanese cosmetic exports. This strategy has proven very successful for Shiseido as it has been able to market the entire product portfolio through leveraging multiple channels. Shiseido has followed a strategy which is not so common for Asian brands expanding beyond the region. Shiseido has used acquisitions as a main channel to gain foothold in the crucial cosmetics markets of Europe and United States. As cosmetics is an industry primarily driven by aspirations, lifestyle issues and images, Shiseido decided on the acquisition path to gain visibility, acceptance and access to established customer bases in new markets rather than spending years to establish the Shiseido brand from scratch. In order to gain an entry into the French and thus the European market, Shiseido acquired the Carita brand and prestigious salon on the Faubourg St. Honore in Paris in 1981. The salon with it distinguished and rich clientele of royalty and celebrities commanded a unique position in the French market. To gain an entry unto the North American market, Shiseido acquired Unilever’s Helen Curtis in 1996. These acquisitions gave Shiseido an opportunity to build on something strong already in those markets. Despite Shiseido’s enduring success for more than a century, Shiseido faces a new set of challenges as it travels ahead into new markets with different demographics, increased competition and multiple segments. Continue the Asian-western blend: One of the main challenges for Shiseido going ahead will be to maintain the blend that it created between the oriental mystique and western cosmetics science and technology. It becomes significant as Shiseido has been acquiring brands in the US and Europe with its own heritage and unique brand stories. Given this, it will be quite a challenge for Shiseido to carry on with the blending as that is one of its strongest differentiation factors. Consistency in positioning: Predominantly, Shiseido has been positioned itself as a high-end premium and luxury brand in the US and European markets and it spans the entire market spectrum from low-end, value, middle and luxury segments in Asia. With customers traveling around the world, a global media landscape and with internet making information flow across countries much easier, Shiseido should take steps to ensure that it conveys its varied positioning carefully in its different markets. Maintaining a strong brand architecture system: Managing the brand architecture can prove to be a very challenging task for Shiseido. Shiseido has been engaged in three main activities: Acquisition of brands in Europe and US, importing new non-Shiseido brands into Japan through the brand holding company, and introducing multiple brand extensions in the market. Given the diverse market segments Shiseido’s brand extensions serve, these brand extensions will obviously have their own brand image and personalities. Integrating them with the parent brand and managing their interactions with the parent brand will be quite challenging. Developing the corporate brand in the western world: Even though Shiseido has been quite successful by following the acquisition strategy, it has yet to build a very strong corporate brand in the US and Europe markets. As it has been acquiring brands with a loyal customer base, to modify the brand identity and personality of the acquired brand to suit the overall Shiseido brand architecture can prove quite challenging. Developing a strong corporate brand with a unique identity and personality will be very crucial for Shiseido’s long term success. Since its inception, Shiseido has realized the importance of offering a highly differentiated experience to customers, to excite them constantly through innovative and high quality products and to segment its customers to offer them a brand experience targeted to each of these segments. These guiding principles has allowed the brand to enjoy tremendous success globally. Nonetheless, as the global landscape becomes more competitive with new cosmetic and skincare brands penetrating the marketplace, it becomes imperative for Shiseido to strike a balance between maintaining its differentiation strategy and anticipating the needs of the changing marketplace. It will be interesting to see the development of Shiseido and its brands in the next decade.